How lucky and blessed are those who can taste some homemade shamrock-shaped shortbread on the Feast Day of St. Patrick. He used a three-leaf clover, which grows abundantly in Ireland, to teach the pagans about the Holy Trinity—God the Father, Son and Holy Spirit—and convert them to Christianity in the fifth century. 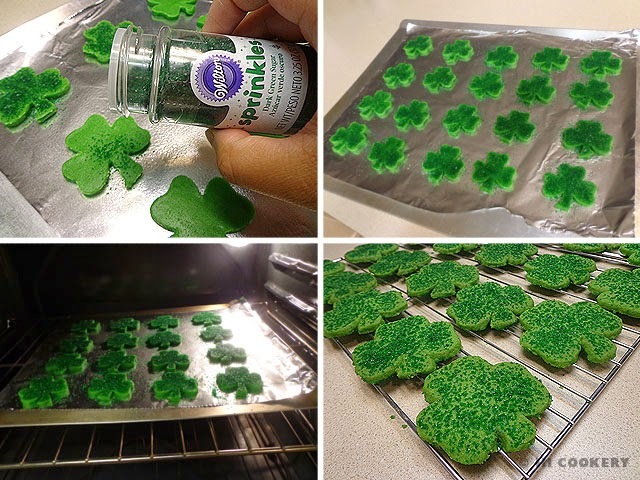 Inspired by the sweet symbolism, we baked shamrock-shaped shortbread sprinkled with green sugar crystals that sparkle like emeralds from the isle of the Irish patron saint. 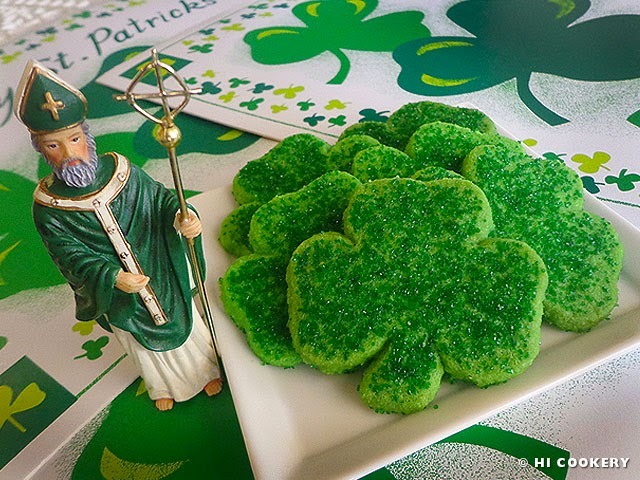 Honor St. Patrick and his evangelistic efforts and make Celtic-style clover cookies. In a large mixing bowl, cream the butter until fluffy. 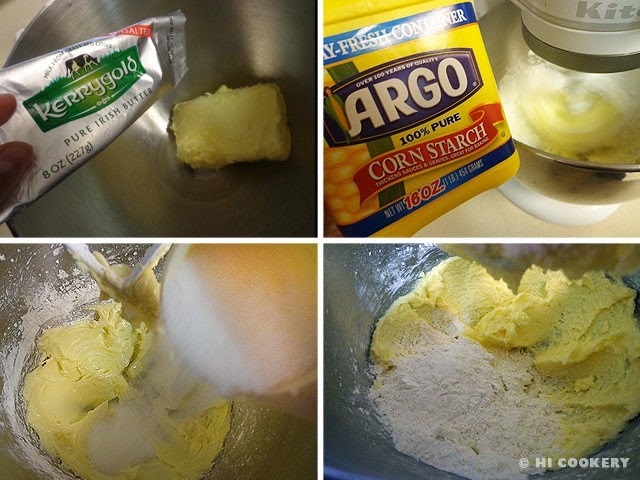 Mix in the cornstarch and sugar and blend well. Gradually mix in the flour until a cookie dough is formed. Tint with green food coloring to the desired shade. Roll the dough into a ball, place in a covered bowl and refrigerate till firm (about an hour). Divide the dough into two or three smaller pieces. Place between sheets of waxed paper. Roll each to ¼-inch thickness. 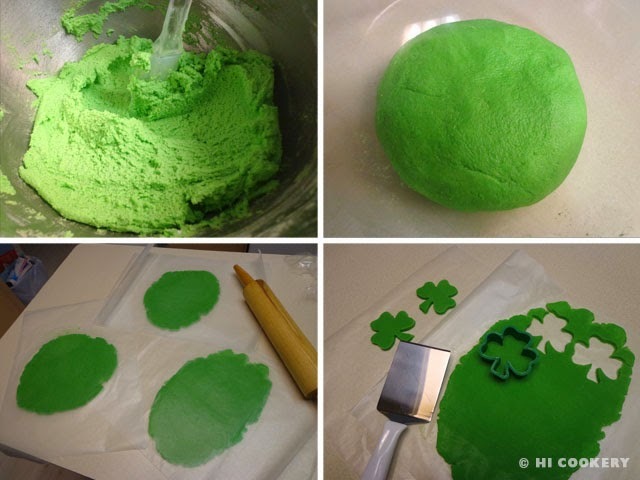 Cut with shamrock-shaped cookie cutters. Place on greased baking sheet at least an inch apart. Refrigerate for 15 minutes. Re-roll the dough scraps, place between sheets of waxed paper, roll to ¼-inch thickness and refrigerate for another 15 minutes or until firm. Continue cutting out shapes and refrigerating. Sprinkle the tops of the cookies with green sugar sprinkles. Bake in a preheated oven at 275 degrees F for 30-35 minutes. Remove from the oven and let cool on the baking sheet for 10 minutes. Transfer to a wire rack to cool completely. While this shortbread recipe is tasty, we prefer other sugar cookie doughs that are easier to handle. This one requires lots of chilling time and patience in order for the cookies to hold their shape. They do spread out a little in the oven but the puffiness goes down toward the end of the baking cycle. Irish butter is creamier and more yellow than the domestic one. This may have affected the dough being more moist than other recipes. Add a little flour to the work surface or waxed paper so the dough does not stick too much. Baking time is longer for this recipe because it has a lower heat (275 instead of 350 degrees). Search our blog for other shortbread, cookies and other Irish-inspired recipes for St. Patrick’s Day. We also recommended browsing for more feast day food ideas from Catholic Cuisine.